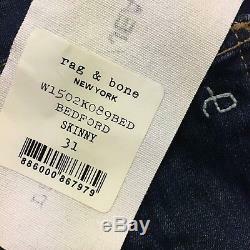 A classic skinny fit jean. Contrast top stitching brings a vintage vibe to these skinnies, constructed in supper stretchy & slimming rag & bone/tech denim. 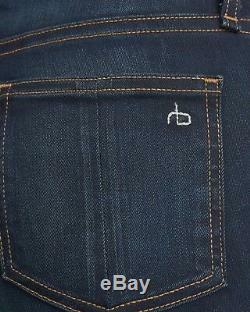 Se denim in dark indigo wash. Rise: 8.5" Leg opening: 11'' Inseam: 30". 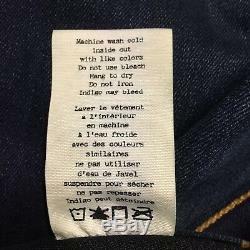 64% cotton, 34% polyester, and 2% polyurethane. 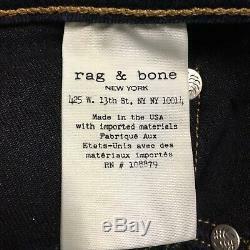 The item "Rag & bone Women's Classic Skinny Fit jean W1502K089BED size 31 NWT $195 MSRP" is in sale since Tuesday, December 18, 2018. 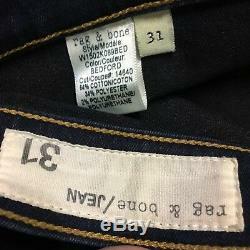 This item is in the category "Clothing, Shoes & Accessories\Women's Clothing\Jeans".t" and is located in Torrance, California.